Hi All. 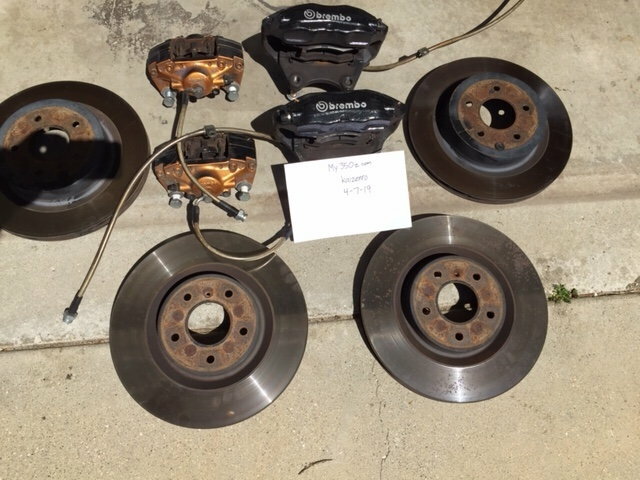 I bought these brakes off of My350z a few years ago and was told they're off of an 08 350z that had about 40k miles. For some reason the previous owner painted the front brakes black. I had them on my old Z for a couple thousand miles before I sold it. I need to make some room in the garage. I'm looking at getting $750. I'm not shipping. Moved to NC sub, pickup only. Last edited by kaizenro; 04-10-2019 at 07:39 PM. Please close the thread. No longer for sale.